Goguryeo-Sui Wars (598 & 612-614) - A series of military campaigns by the Sui Dynasty of China against the Goguryeo Kingdom of Korea. Tensions began under the reign of Wendi (Emperor Wen) in the 590s. As the largest empire in the region, the Sui tried to throw its weight around by exerting influence over its neighbors. The Goguryeo, however, refused to be intimidated. Not only did it not submit to the Sui, but it went so far as to provoke her by conducting raids into Chinese territory. When China was reunited after centuries of division (see Yang Jian), King Pyeongwon of Goguryeo knew it could be trouble and began preparing for a war he expected would come. He built up his military and fortified his capital. It was a smart move even though the two kingdoms did not go to war under his reign. That happened during the rule of his son, Yeongyang. In 596, Emperor Wen sent envoys to Pyongyang (which was the capital way back then) demanding two things; an end to the raids, and submission to his authority. He got neither. While the Sui prepared for war, Yeongyang decided not to wait. He made an alliance with the Mohe (a nomadic people) and launched an invasion into the Ying Province in 597. The Goguryeo was too small a kingdom to conduct an offensive war; it was merely sending the message that it would be a hard target for the Sui. It destroyed military outposts in the region and left. By 598, China was ready to respond and attacked both by land and sea. Emperor Wen placed his youngest son, Yang Liang, in command of the overall campaign. His army consisted of approximately 300,000 men, and they invaded in the summer. The Goguryeo appears to have benefited from some unusually harsh weather. Heavy storms bogged down the Sui army and destroyed many ships. The harsh weather also led to an outbreak of disease (unidentified) among the troops. That combined with a fierce Goguryeo defense forced a retreat before the end of the year. The invasion of 598 ended in failure. The Sui made a second attempt at conquering the Goguryeo in 612. This time under Yangdi (Emperor Yang), who succeeded his father in 604. By 611, the Grand Canal was mostly finished (see Grand Canal), and Yangdi used it to transport soldiers to the north of China for his campaign. With this new waterway, he managed to raise an army of close to a million troops, about three times the size of the previous army. Apparently fearing a repeat of circumstances as happened in the first campaign, Yangdi launched his expedition in the winter. But once again the weather was against the Sui army. Yeongyang knew his own military could not compete with such a massive force, so ordered his men to retreat back behind the Liao River and take up a defensive posture. The Sui were hoping to find the river frozen so they could easily cross it. But the winter was unseasonably warm, and the river thawed. This required the Sui to build bridges, which slowed them down considerably. While they did, the Goguryeo launched ambushes which took heavy casualties and slowed them even further. But by Springtime, the army had finally crossed. 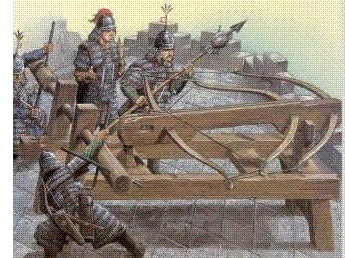 The Goguryeo army retreated again and defended from the series of forts they had built along their northern border. Emperor Yang turned out to be a poor military commander. He ordered that his generals were to take no action without first receiving his approval. Such a directive proved to be exceedingly cumbersome for such a large army. There is an account of a Goguryeo fortress, the Yodong, which was prepared to surrender, but by the time the Sui general got permission to accept the offer, the enemy had regrouped and retracted the offer. As a result, by summertime, the Sui had not captured a single fort. So Yangdi decided to change plans. He divided his army. Part of it would continue to assault the forts at the border (or at least keep their men holed up inside), and the rest broke off and headed for Pyongyang. This created a logistical problem though. The men near the border could easily be supplied from China, but the supply line supporting the marching army was susceptible to disruption. To prevent this, Emperor Yang ordered those men to carry their own provisions. But this weighed them down considerably. Many of them abandoned their supplies, which had obvious consequences as well. With the Sui forces divided, Yeongyang decided to pick off the one on the move through another series of ambushes. Before it ever reached the capital, Sui losses had become significant, and forward scouts reported that a siege on the city would be difficult (no doubt a result of Pyeongwon's fortification measures years earlier). They decided to abandon the planned assault and began a retreat back toward the rest of the army. But Yeongyang had devised a plan to defeat the Sui army for good. He dammed the Salsu River (present-day unknown, though thought to be the Chongchon) so it could be easily crossed on foot. But when the Sui reached it, Yeongyang had the floodgates opened and the waters rushed downstream, drowning many of the soldiers. And most of those who survived were left disoriented. The Goguryeo attacked and wiped out almost all that the river had not. Of the 300,000 or so men dispatched to attack the capital, less than 3,000 returned to the border to rejoin the rest of the army. Yangdi resigned to defeat and retreated back to China. The devastating loss is considered a primary contributing factor to the downfall of the Sui Dynasty in 618.